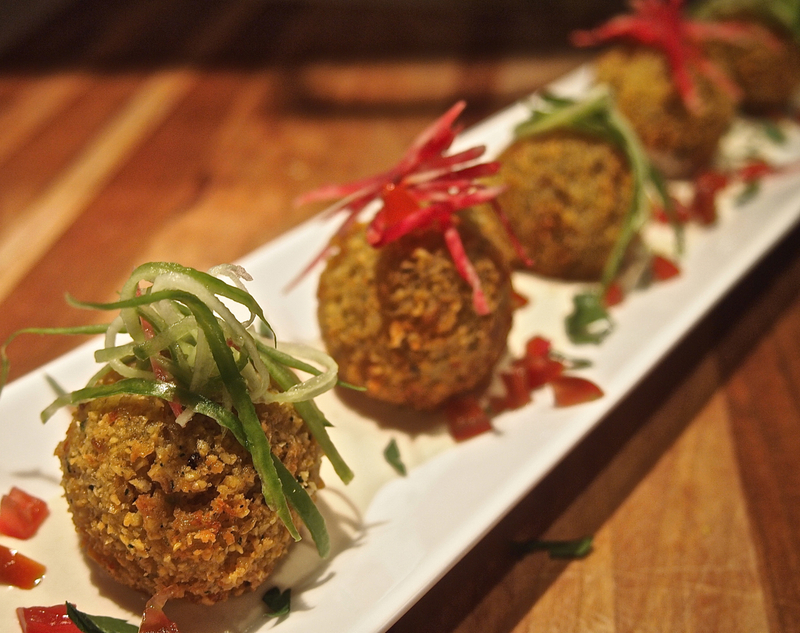 Inspiration: The wonderful falafel at Zyara (Montreal). Julienne a Lebanese cucumber and raw beet as garnish as well as diced tomato. I have been wanting to make my own falafel for a while now but just didn't seem to have the courage to tackle it until things began to align over the last few days and some people generously shared their knowledge and experience with me. The chef from Zyara - in my opinion the best Lebanese restaurant in Montreal (actually Brossard) - came out of the kitchen when I was there with a good friend recently, to explain in great detail how he makes his delicious falafel. I left with his little hand written note indicating what I would need to recreate his recipe. 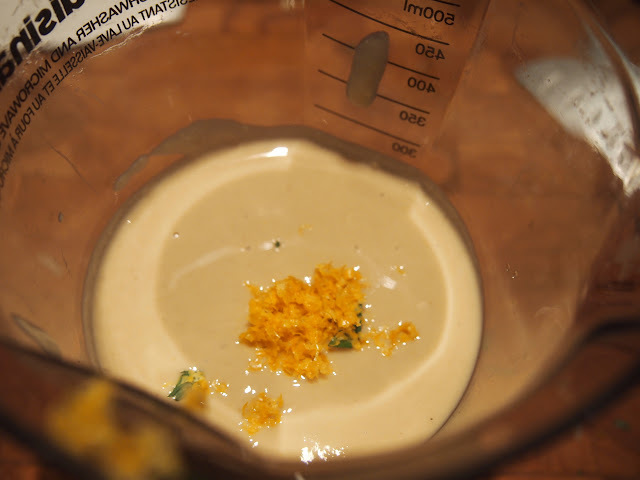 In true chef fashion, the basic ingredients were noted but none of the actual quantities. This would require that I use my own instincts, and a little research, to come up with a falafel recipe that I felt was as good as his. The reason we like his falafel so much is because they are very light with a perfect moist texture and crispy exterior. 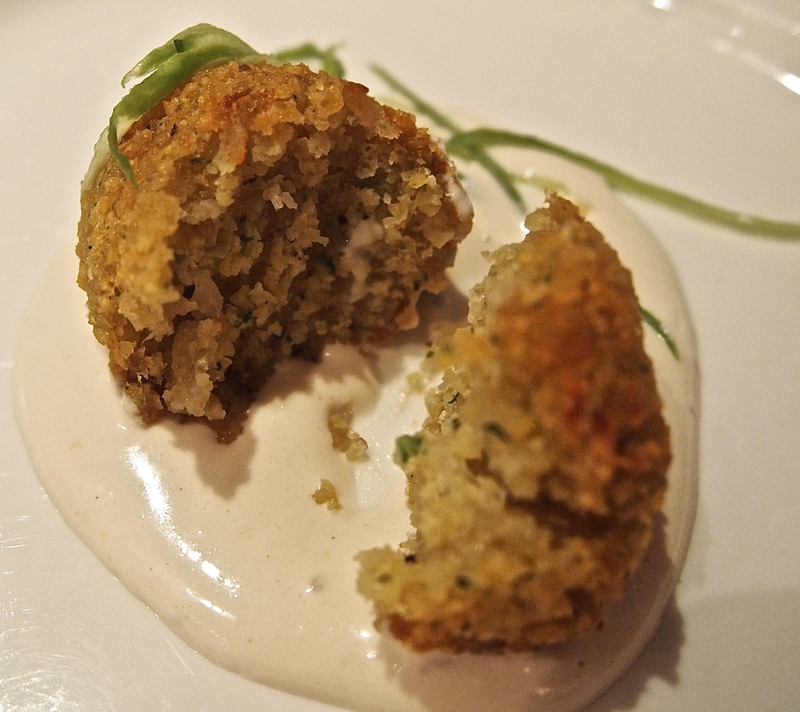 He explained that using fava beans as well as chick peas and also adding baking powder would help achieve this result. So… here is what I came up with. The final result was excellent although, I must admit, still not as light as his. 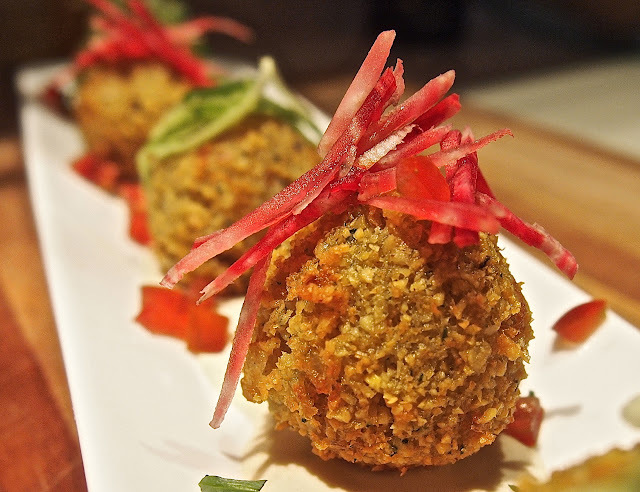 This recipe makes a wonderful crispy falafel that is full of flavour. 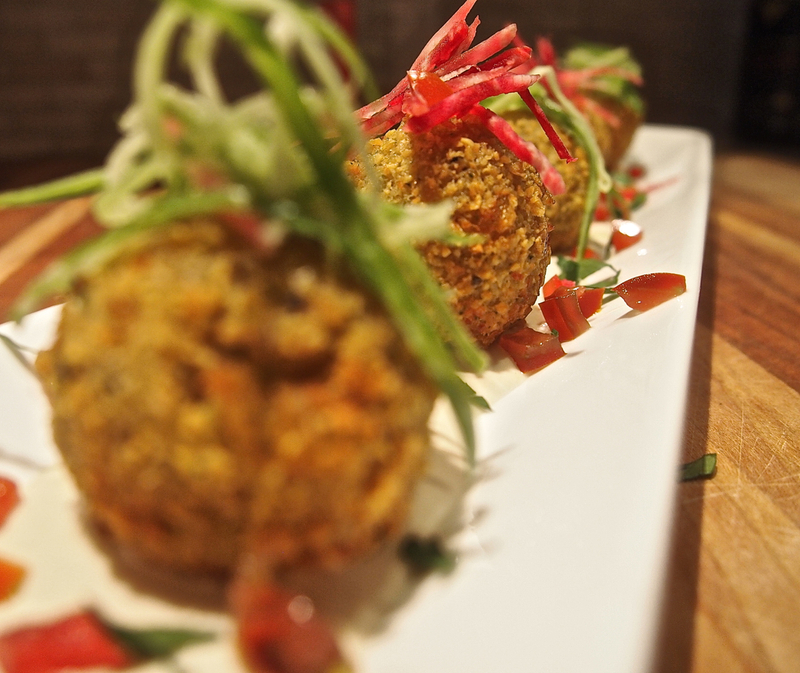 The presentation is also inspired by the beautiful dishes served at Zyara. 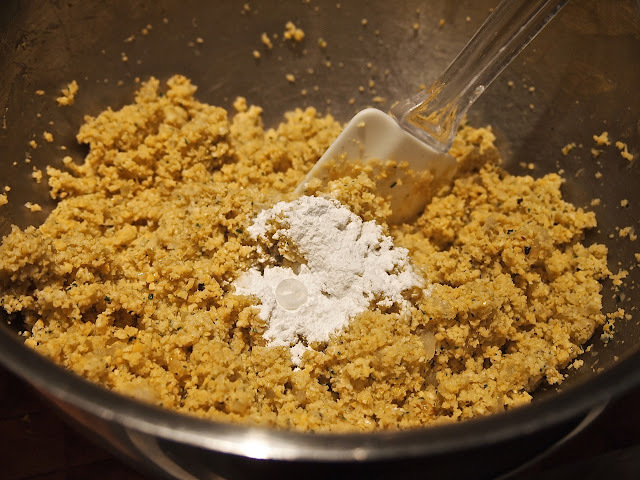 I have to mention a specific site I discovered recently that helps me immensely with my research when I am cooking and as syncronisity would have it, they posted a great article and recipe for falafel not too long ago. This site is so well done that it leaves me in awe. Check out Serious Eats to get great recipes and incredibly detailed explanations of a why a recipe works - it is a fabulous learning tool. Start by placing the chick peas (2/3 cup - 160ml) and the split fava beans (1 cup - 240ml) in separate bowls and fill with cold water. 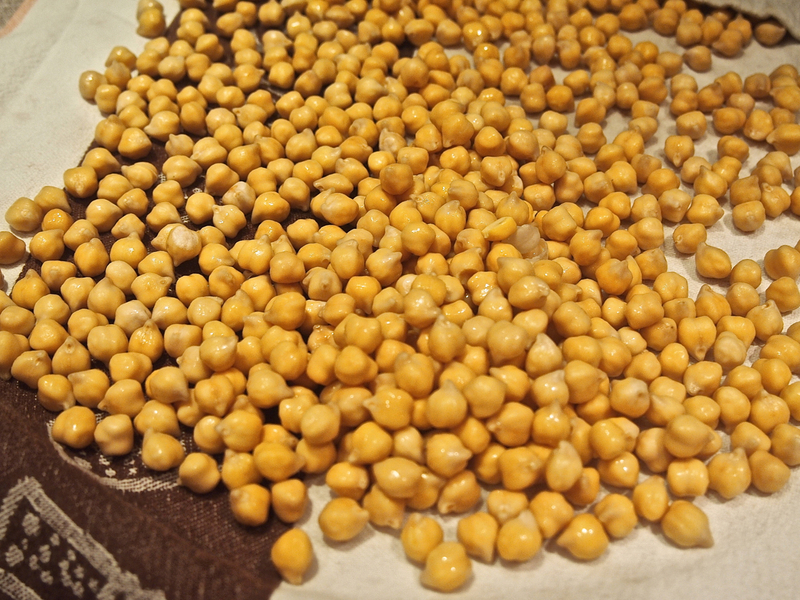 The level of the water should be at least 2 inches (5cm) above the dried beans. Allow to soak overnight. 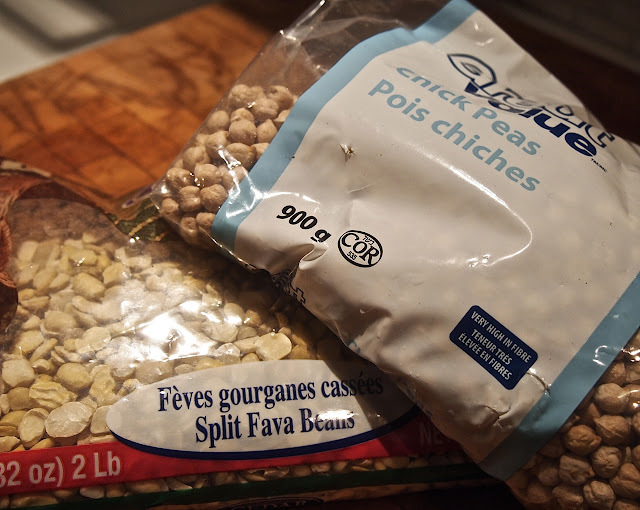 The beans should double in volume and for this recipe you will need 1 cup of soaked chick peas and 1 1/2 cup of soaked fava beans (you may have a little leftover). 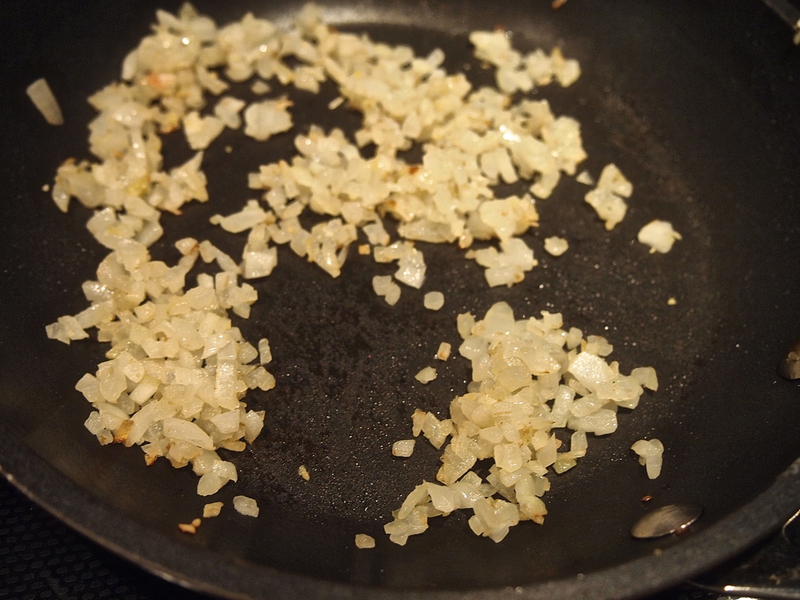 Put the diced onion (1 medium) in a pan with 1T (15ml) of oil over medium heat. Sprinkle with a pinch of salt and cook until the onion begins to colour (about 15minutes). Set aside. 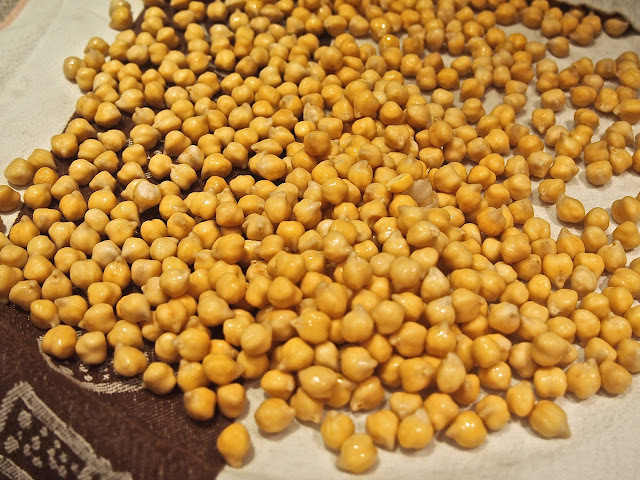 Strain the chick peas and the fava beans and dry them well on a clean hand towel. Place 1 cup (240ml) of soaked chick peas and 11/2 cups (360ml) of soaked fava beans in a food processor. 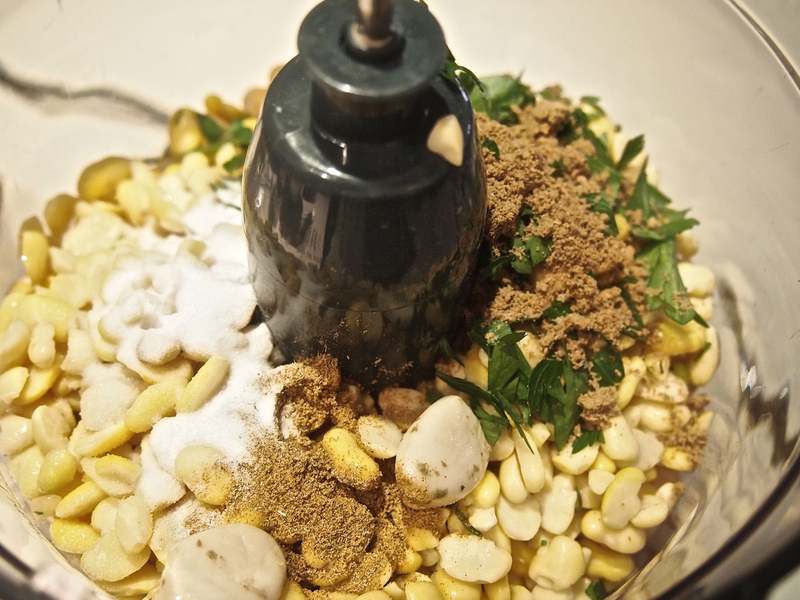 Add the roughly chopped fresh parsley (2T - 15ml), the pickled garlic (2 cloves), the cumin (1t), the coriander (1t) and the salt (1/2t). Pulse on high for about one minute or until you have a slightly crumbly texture. Transfer the mixture to a bowl, cover and let sit in the fridge for 15 minutes (this helps release some of the starch that will act as a binder). 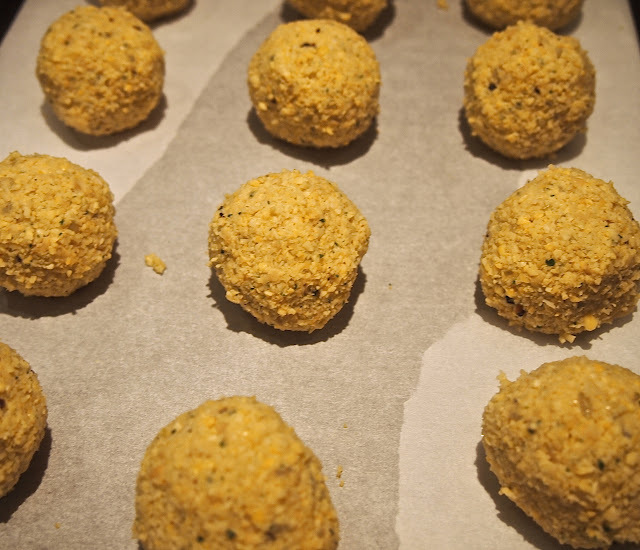 Remove the falafel mix from the fridge and sprinkle in the baking powder (1t) and the water (1T -15ml) as well as some freshly ground pepper. Add the caramelized onion and mix to combine everything. Scoop out about 1 generous tablespoon of mix into your hand and transfer from hand to hand, squeezing gently, until you form a ball. Set aside. 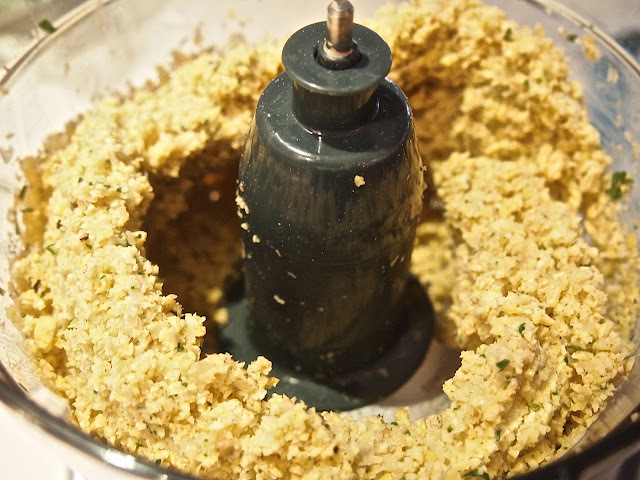 Continue this process until you have used up all the falafel mix. 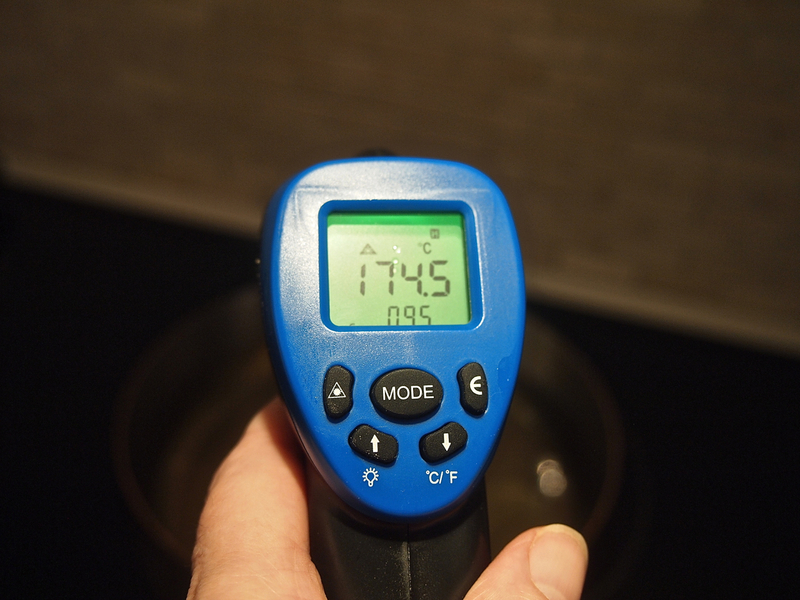 In a high sided pan or pot, heat about 2 inches (5cm) of vegetable oil to 350°F (175°C). 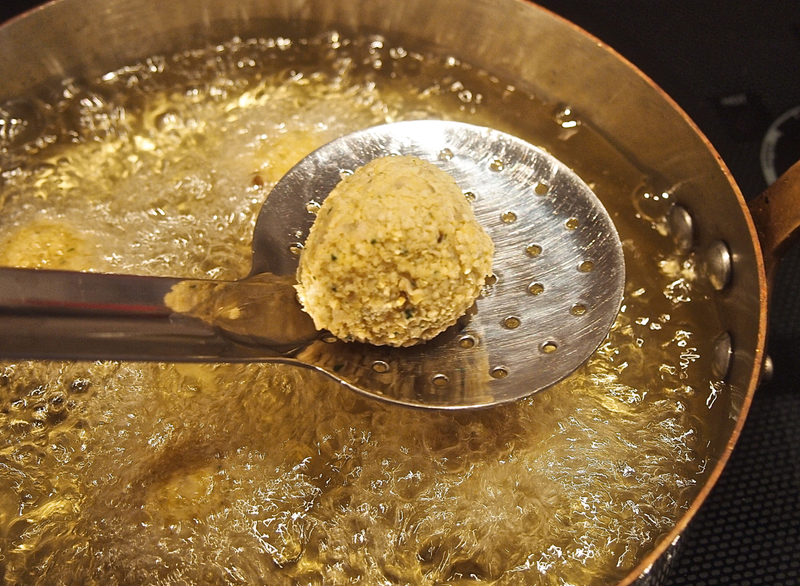 Gently lower each falafel into the hot oil and cook for about 2 minutes on each side until golden. Transfer to a plate lined with a paper towel. Serve with humus and lemon tahini sauce (see below). Place all ingredients, except the water, in a blender or container for a hand held mixer. 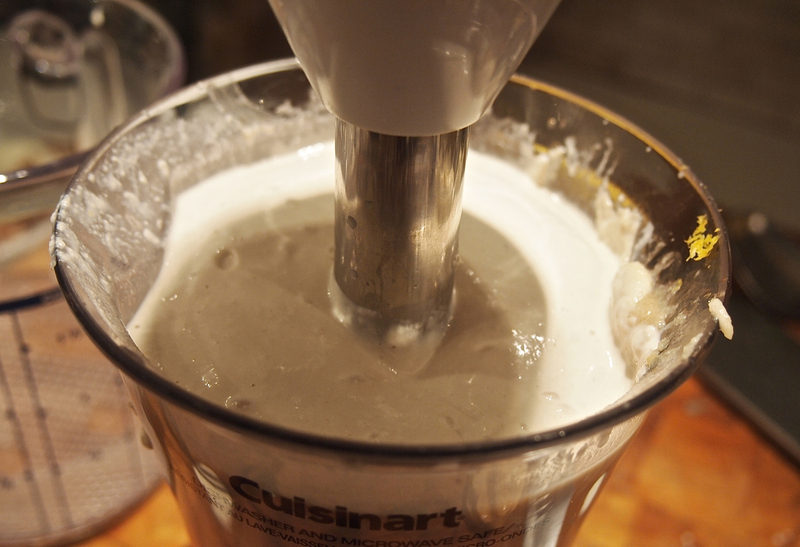 Purée and slowly add water until you get the desired consistency. 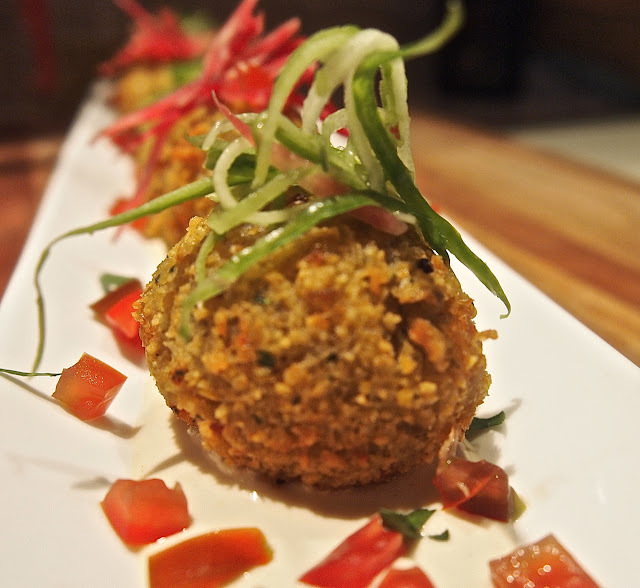 Serve with falafel or as a base for salad dressing. Enjoy!